With all this fervent patriotism bubbling around us, here's a channel to funnel your passion for the internet and Hong Kong. June 10th. So get voting! As you can see from the screenshot below, the site is a cheeky take on preachers (after all, most ad execs can't stop preaching the god-like qualities of 'The Brand'!) 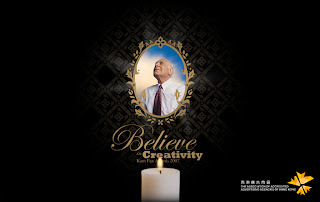 and was created for the Kam Fan Awards, an annual event run under the auspices of The Association of Accredited Advertising Agents of Hong Kong (formally known as "The 4As"). You can fully experience the site for yourself here. I like the opening screen where your mouse becomes "the guiding light" on a darkened page. Upon entering, the "Hand of God" replaces the candle light and religious music, interspersed with preacher's quotes, draws you into various witty scenes that you can download as desktop wallpaper (music not included, unfortunately). 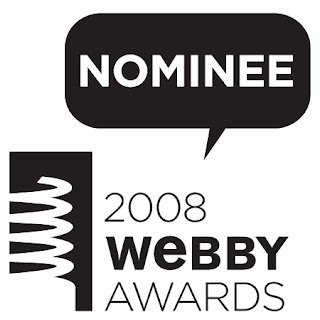 Hailed as the "Oscars of the Internet” by the New York Times, The Webby Awards is the leading international award honoring excellence on the Internet, including Websites, interactive advertising, online film and video, and mobile Websites. You can view current nominees and past winners on this site.